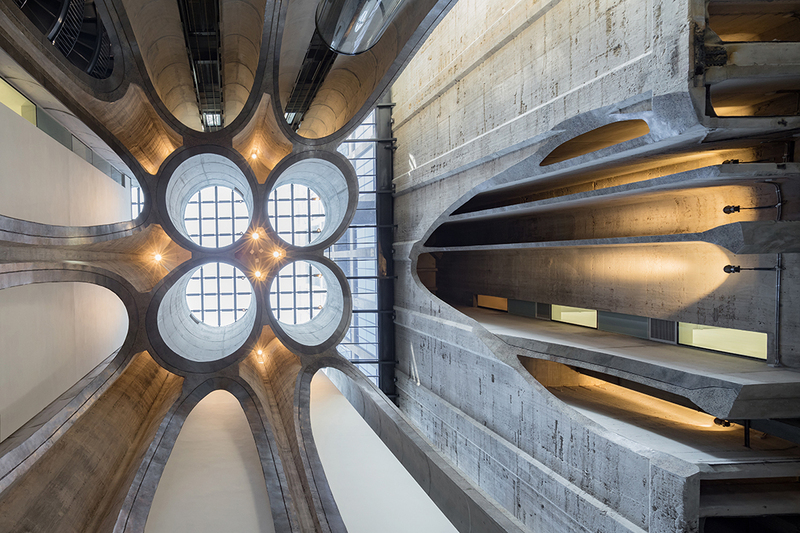 How a decommissioned grain silo became Africa’s largest museum of contemporary art. 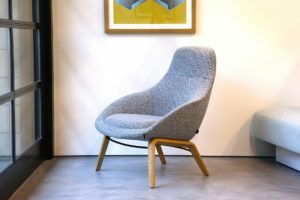 Elana Castle interviews project architect Stepan Martinovsky from Heatherwick Studio about the radical transformation. 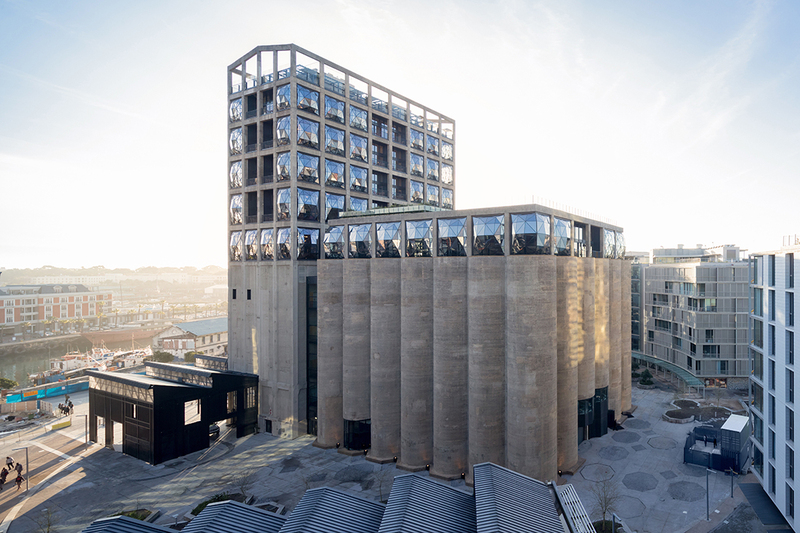 How do you convert 42 hulking grain silos into a functional and fitting home for Africa’s largest collection of contemporary art? 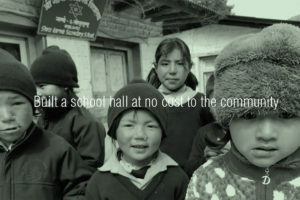 How do you create 100,000 square feet of voluminous space where none existed before? 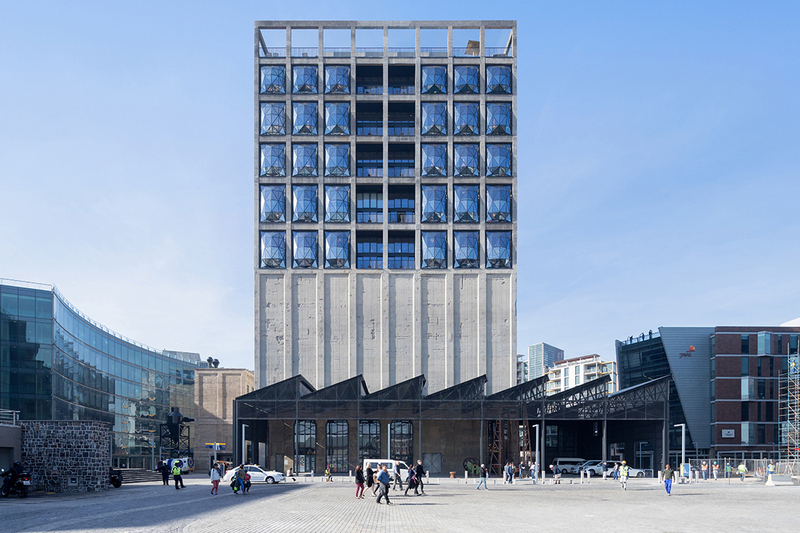 This was the architectural conundrum that faced the design team at Heatherwick Studio, who has spent the best part of a decade wrestling with the predicament – and refining the outcome. 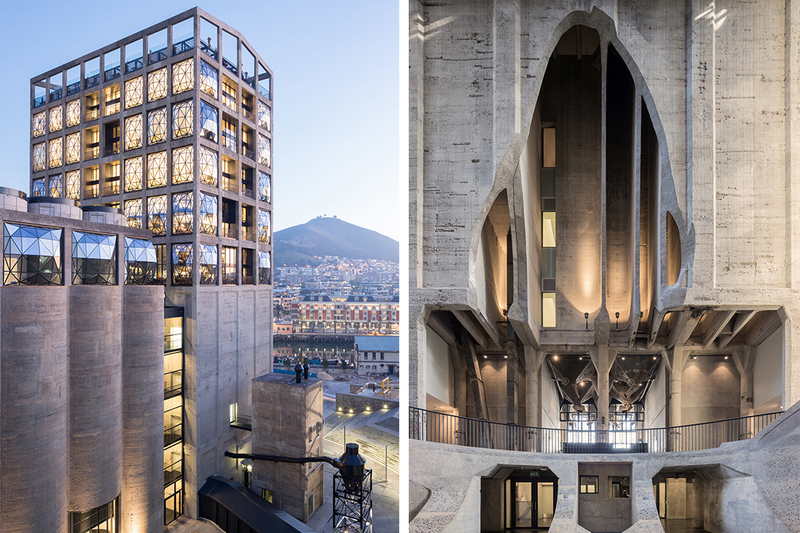 The Grain Silo, an iconic, once-famous, agricultural export facility in Cape Town’s waterfront precinct which was decommissioned in the 1990’s, has found a completely new lease on life as Zeitz MOCAA, so-named after its visionary art patron Jochen Zeitz, whose veritable collection of African art now forms the basis of the museum’s permanent collection. The historic building is composed of two primary parts – the elevator tower and the storage silos themselves, each of which measure 30 metres tall by 5 metres in diameter. Six floors of the tower are now occupied by a luxury boutique hotel, aptly named Silo, with over 65,000 square feet of space dedicated to the exhibition space across 80 galleries, a rooftop sculpture garden, screening rooms, art and conservation areas, a bookshop, restaurant and bar and reading rooms. 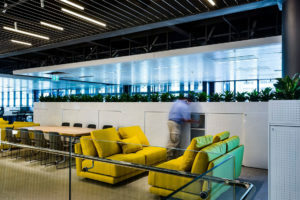 “With a large industrial building, you’re either presented with a large open space or you strip out the insides and start from scratch,” says Martinovsky. But in this case, the team discovered two things. 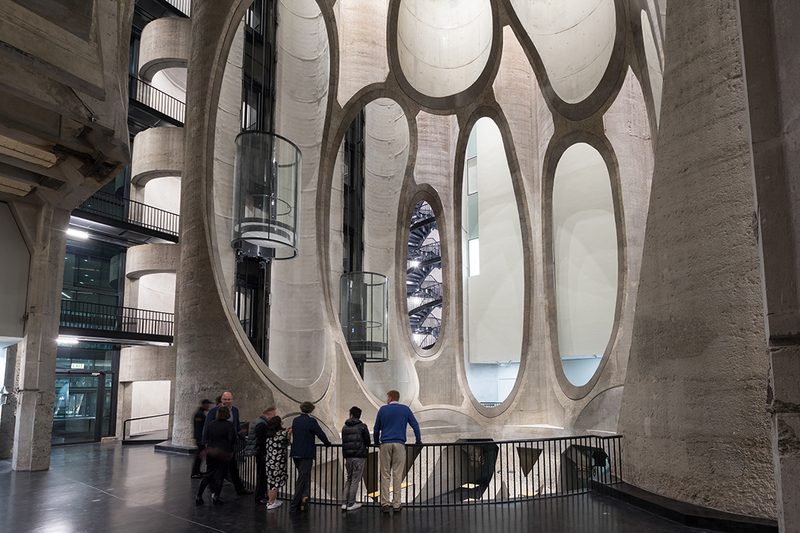 A building, whose heritage they not only wanted to retain – but celebrate – and very little space from which to experience the monumental internal scale of the structure. “Without being able to appreciate the actual internal extent of the building, we had to start designing without knowing exactly what we would discover until we started cutting away some of the concrete,” explains Martinovsky. 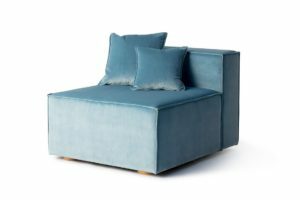 Leveraging their three dimensional modelling capabilities, alongside the manipulation of good old fashioned paper models – the team developed early stage conceptual schemes. 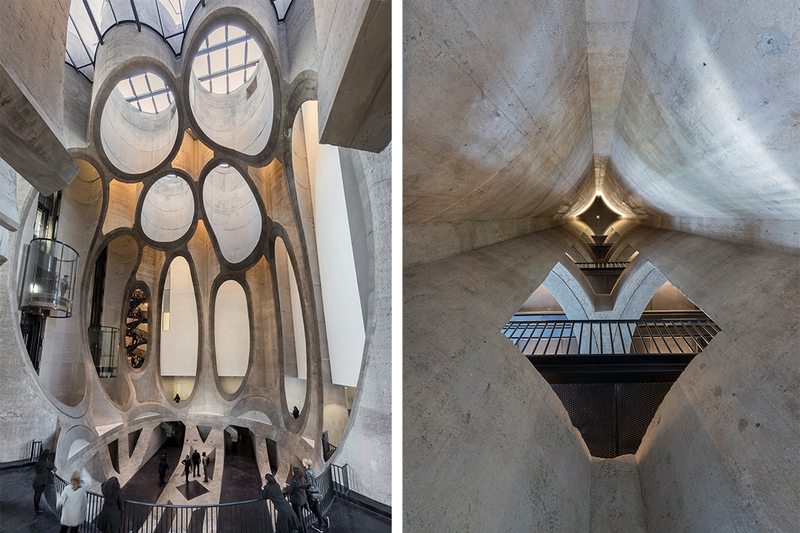 Treating the silos like cardboard tubes, they envisioned carving out a large atrium that would function as both exhibition space and as an orientation and circulation zone that would unify the two buildings, allowing visitors to fully experience the extraordinary geometries of the interior. “The process of carving was like peeling back the layers of drawings of the human body,” explains Martinovsky. 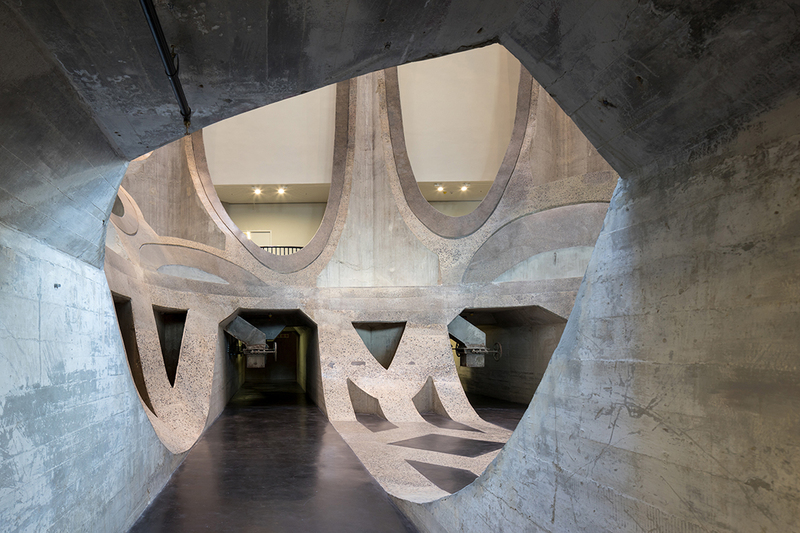 “The actual physical design was inspired by a single kernel of grain, scaled up and used as the basis for the series of forms that you now see.” What followed was a design and construction process characterised by many iterations and careful monitoring, as hunks of cellular concrete were carefully pared back using advanced concrete-cutting techniques. The result is a compelling convergence of geometries and edges that are still cellular in nature, housing circular glass lifts and spiral staircases. The bisected shafts bring light deep into the space through glass caps at roof level. 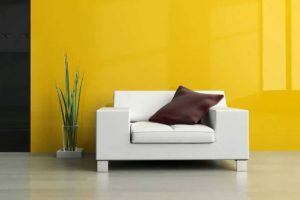 International standard, white-walled galleries have been surgically inserted into the tower floors, creating a stark contrast against the bulk of the building, which has been left raw and untreated. In addition, the hands-off approach has been extended to the monumental façades and the lower section of the tower, save for the removal of thick layers of render and paint which reveal the crude beauty of the original concrete and new inflated, pillowed windows on the building’s upper section. Inserted into the upper level openings, the faceted glazed forms bring the silo firmly into the new modern age, as they glow like lanterns at night, beckoning visitors into the silo’s innards.